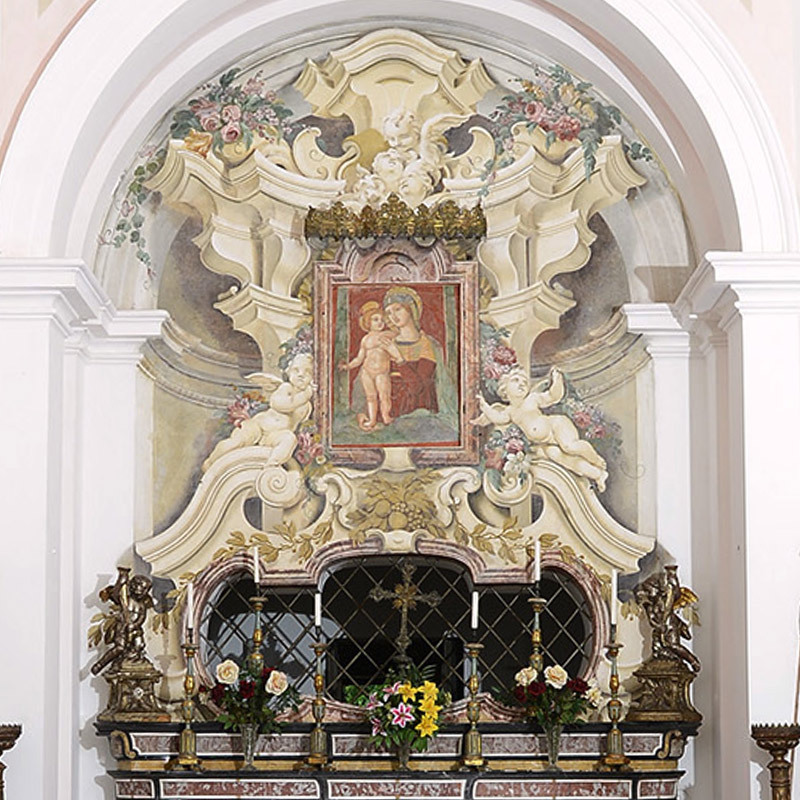 The church of Lo Zerbo was built in 1630 on the left bank of Ticino river, when the population of Besate wanted to thank the intercession of the Virgin Mary who avoided a terrible plague. The building was erected on the foundations of the old lazzaretto, the field hospital where the citizens who had contracted the disease were cured. 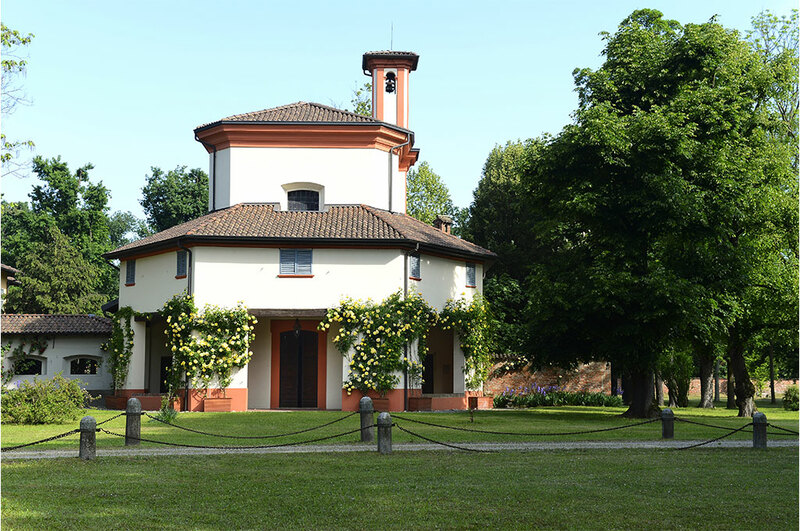 The chapel of Lo Zerbo is set in a rural environment of rare beauty, shaded by majestic trees. The plant is octagonal, Greek cross-shaped with perimetrical closure. This choice is a further tribute to the miracle that the population received: in fact, the number 8 symbolizes the divine perfection. Recently renovated, the exterior is pure white with a high terracotta colored plinth, surrounded by pots of yellow roses. A high bell tower dominates the tiled roof, and it is visible from anywhere in the park. Ornamental motifs are the balanced synthesis between sobriety and decorative taste. 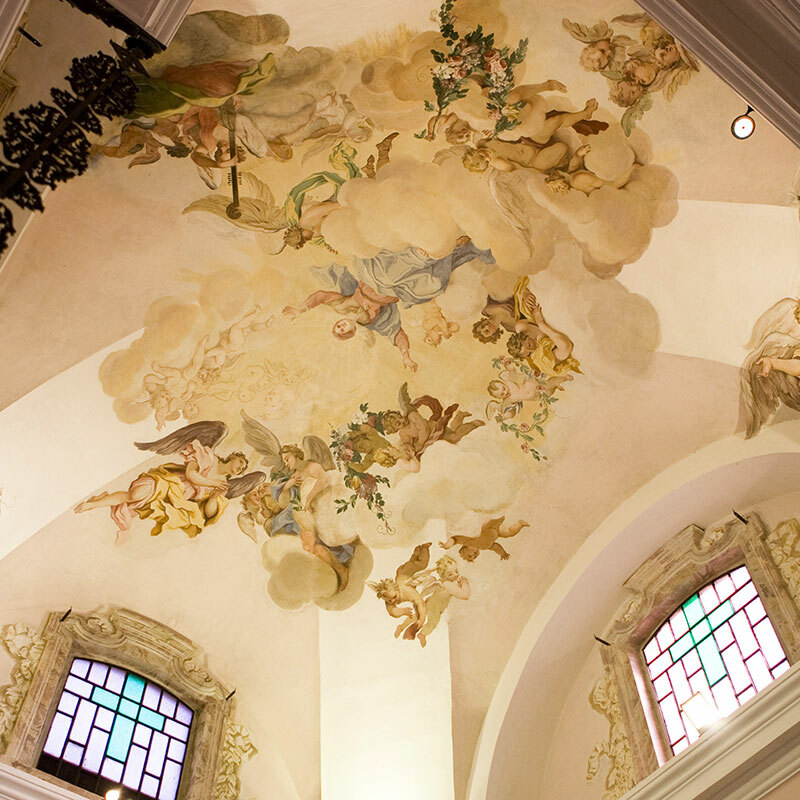 The valuable interior includes the sixteenth-century fresco, now a painting, named “Our Lady of Zerbo“, an artwork that gives its name to the whole area. 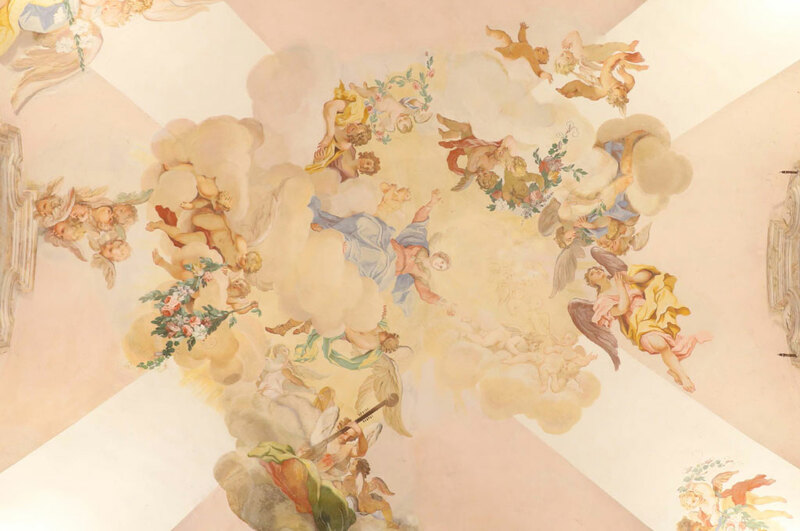 Additional wall decorations were realized by Milanese artist Francesco Porro, and date back to the second decade of the eighteenth century. 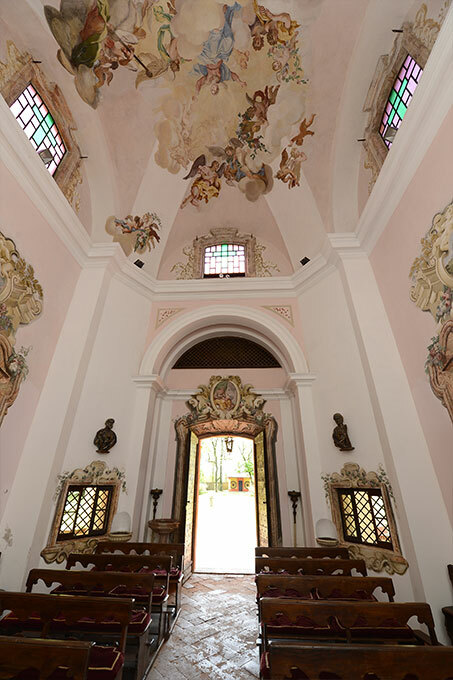 In particular, above the wooden door with circular studs, a beautiful “Madonna with Book” stands, an image that is echoed by paintings above the side doors, depicting the Holy Family. 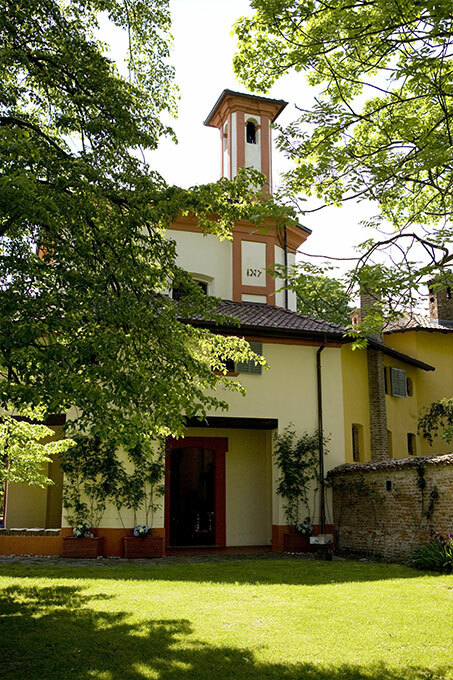 These features and the high cultural, historical and anthropological value of the church ensure the building to be one of Lombardy’s Italian Historic Houses. 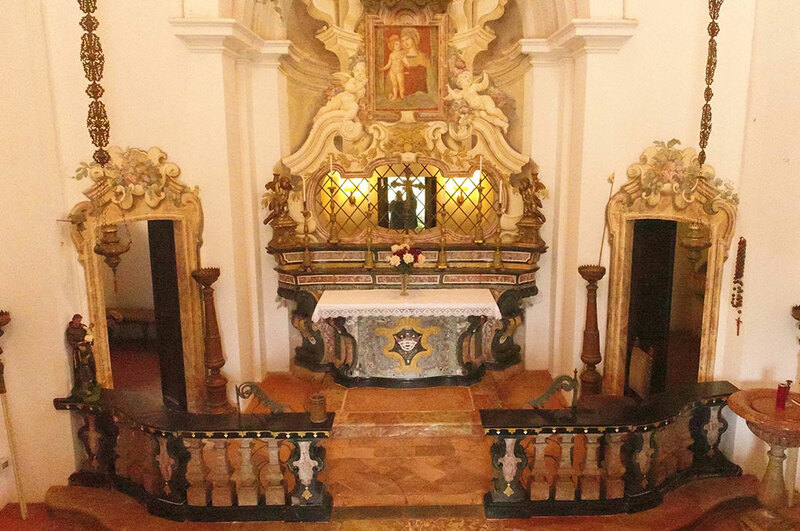 It is also recognized as a historical landmark by the Italian Historic Houses Association (ADSI). 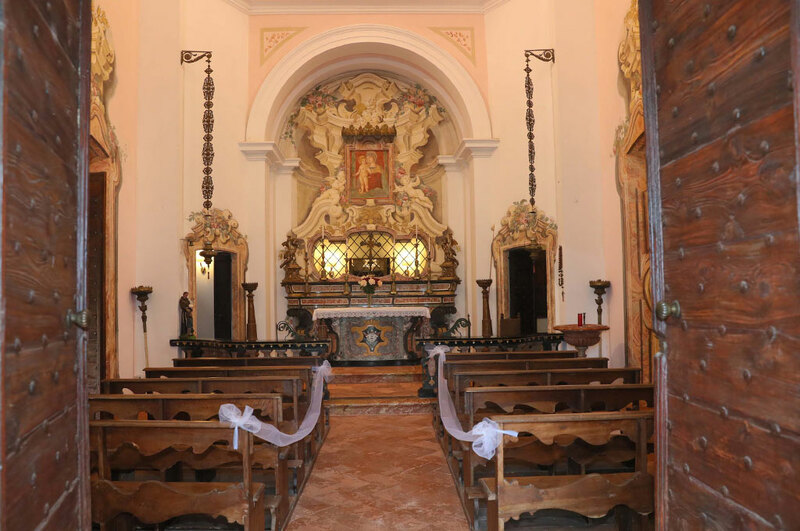 If you are looking for a wedding location with church, the consecrated sanctuary of Lo Zerbo is the perfect solution for official blessings and symbolic ceremonies. One example is the American-style ceremony ritual, increasingly popular in Italy. The wedding officer can also be a friend of yours or a family member; a completely customized ceremony with a touch of originality, which allows you to plan the wedding you have always dreamt about. The officiant of readings, decoration, promises, music and tables position. There’s no limit to customization at Lo Zerbo. You may also decide to involve your guests in a collective ritual, a touching moment where all of you can share your emotions with your loved ones. Lo Zerbo’s chapel is a church in continuity with the external environment. Located in the middle of the 12 acres park, it is surrounded by a beautiful garden where characteristics stone statues stand. An oasis of peace and tranquillity, just a few steps from Ticino river. 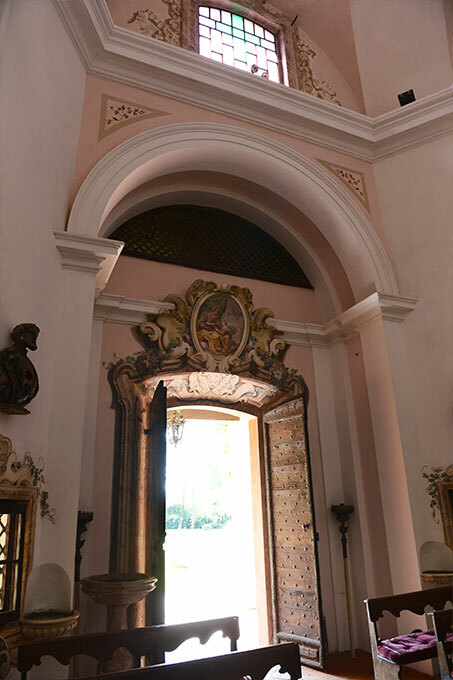 On the northern side, the church faces the eighteenth-century style villa, another architectural jewel full of charm and elegance. For a fairytale-like wedding, Lo Zerbo has created an evocative path that will delight your guests. 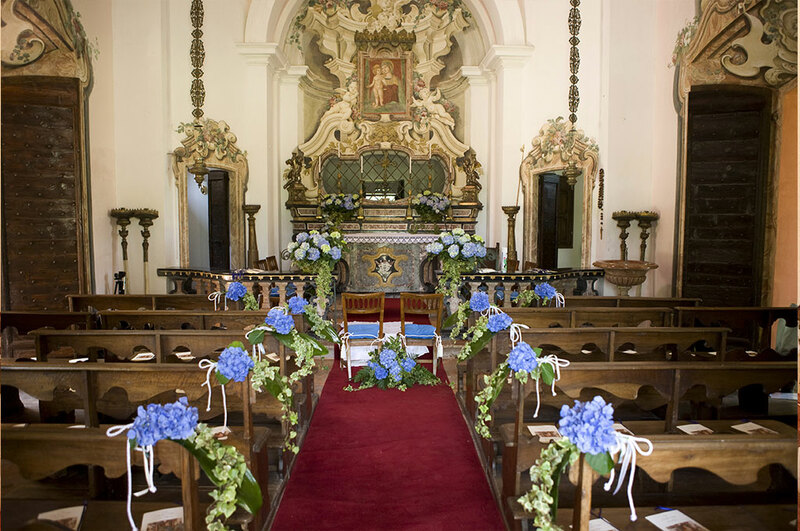 It ideally starts at the chapel for the wedding, which can be embellished with flowers and drapes matched to the theme of the wedding. 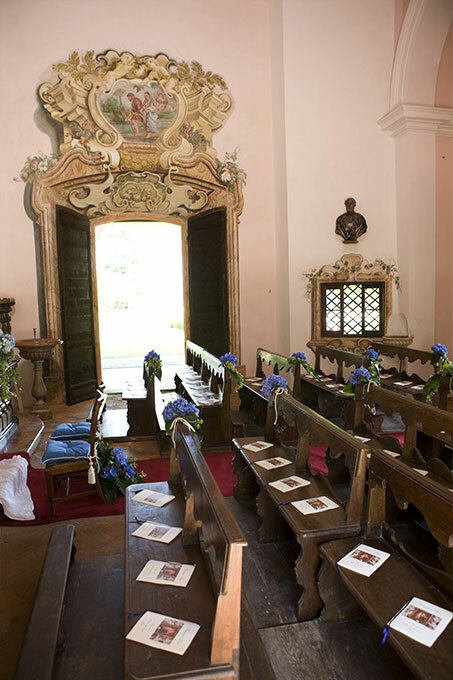 The sanctuary is also suitable for civil ceremonies so that you can literally start the journey along with the person you love. Our ideal path then runs through the garden, a welcoming background for capturing your memorable moments with photos and videos. Then you can gradually move from the poetry of nature to the porch, in a superb fusion of earth and man elements. Nothing is more romantic than strolling along, in the shadow of the columns, with the breeze through your hair. 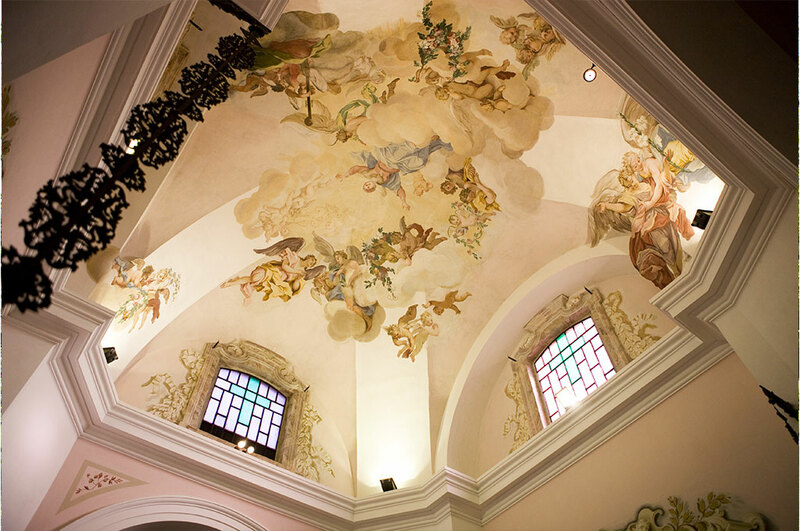 The regular geometric architectures of the church make the chapel versatile, both for civil weddings and symbolic ceremonies. The charm that reigns in the church will complete di magic scenario. 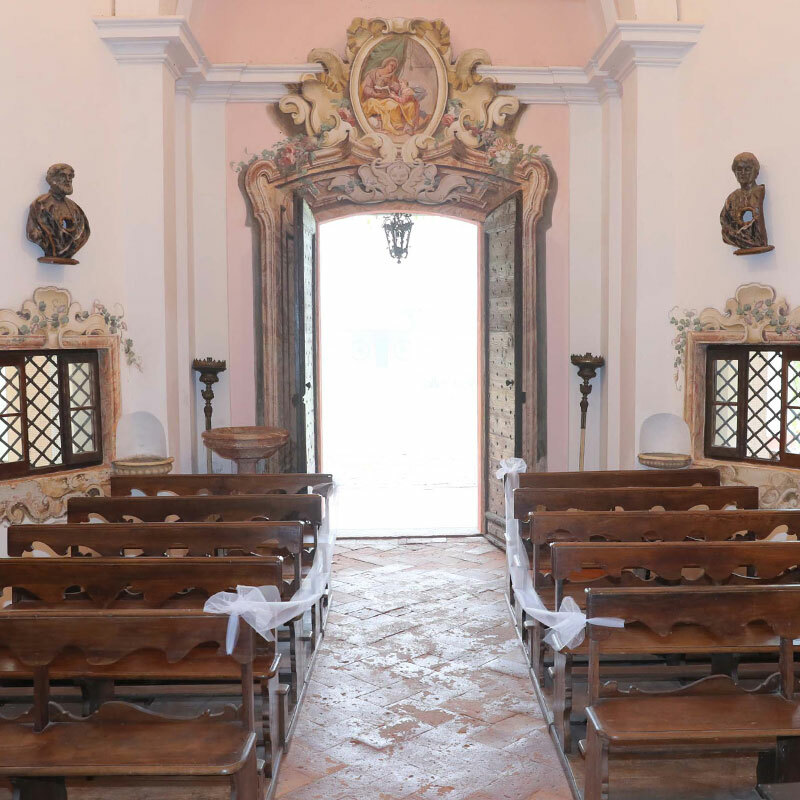 Lo Zerbo is an exclusive wedding location with a property church that offers everything you need, all in the same place. A prestigious and historic structure that provides its spaces for receptions and overnight stays. The magnificent park with its luxuriant vegetation and the solemnity of the church will make your event unforgettable.